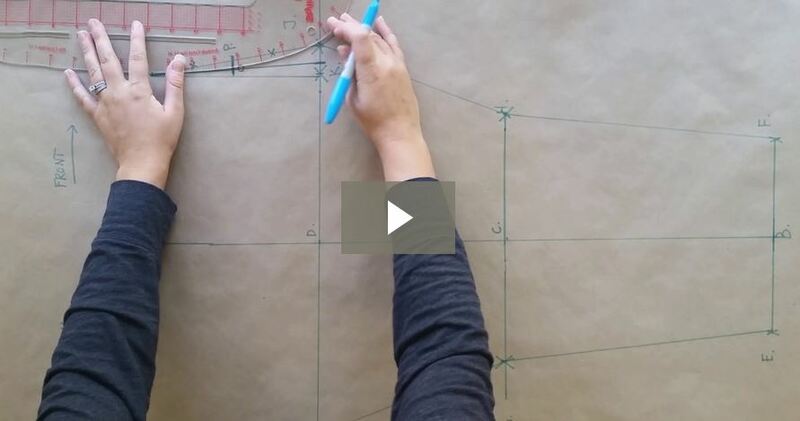 Learn the six simple steps to draft a custom fit bodice pattern block! If you are interested in making clothing tailored to your body, learning how to draft a set of custom fitting pattern blocks is a must! If it seems like it is to confusing and should be left to the professionals, I’m here to tell you…it’s not that hard! 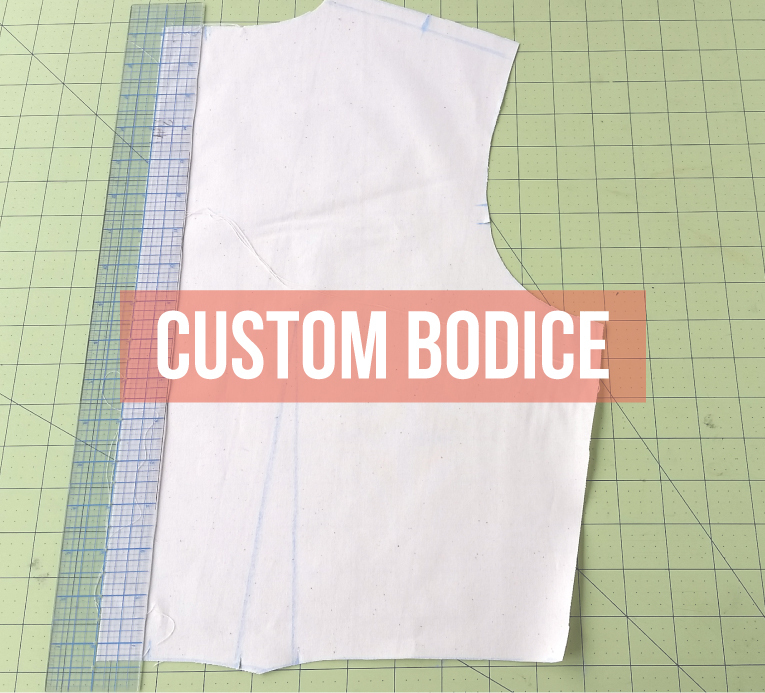 Read on to learn the six simple steps to make your very own, tailor made bodice block! 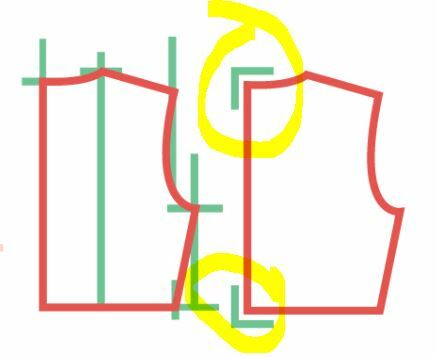 In this post, I review the simple steps to draft the custom fitting back bodice pattern. Please see the tutorial on how to draft the front bodice pattern. 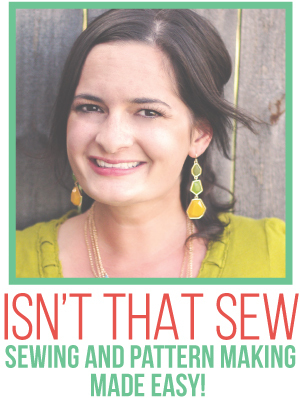 Check out my pattern-making 101 series to learn more tips, tricks, and tools of the trade! Step 6 – Connect the dots! Tip, make sure to “true” the pattern by making sure the following corners have right angles; center back waist and neck. Note; this is a simple bodice pattern without seam allowance, wearing ease, style lines, or darts. Please review my pattern making 101 series to learn more tips and tricks. But, what about the front pattern? 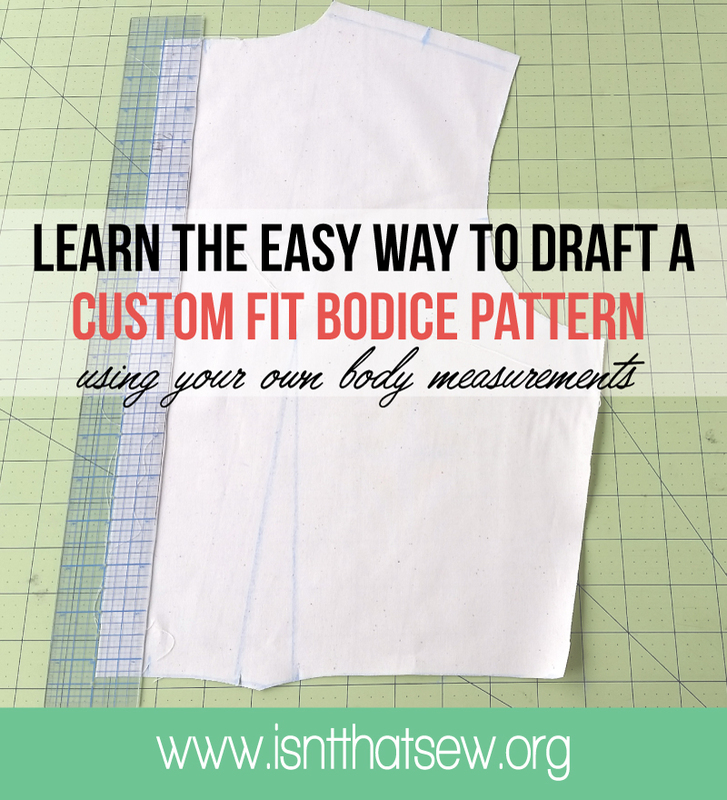 Read the full post about how to draft the front bodice pattern block. I would highly recommend sewing a muslin and testing the fit. At that point, any necessary adjustment can be made to the pattern block. Hi! I think I’ve now read every sewing tutorial on the planet for creating a sloper, and I now have a men’s shirt block (for my other half). Where I’m struggling is in how to turn that into a pattern for a button-down shirt. Any guidance? I highly recommend getting a pattern drafting book, as it will be a better reference for you to refer to. Send me an e-mail, it’s easier to chat there. You can use the contact form on this blog. Hello! I’m loving your tutorials! Can you please recommend a pattern drafting book? 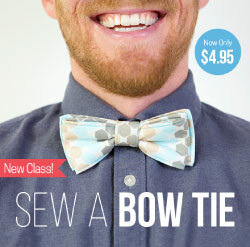 I’d love to learn how to create a sloper. Thanks in advance! Thanks so much! Metric pattern cutting and Pattern Making for Fashion Design are both great! So from my understanding after reading some of your pages… To make clothes that fit your personal measurements you make a bodice and then from the bodice you make a sloper… and then from the sloper you make sewing patterns for shirts, blouses and other kinds of tops? Yes, that’s about right! And you’d do the same thing for a sleeve, a skirt, and a pant! You build a well fitting sloper and then always draft new garments from said pattern. That way, the fit will be more likely to be transferred into all your new creations! I’m so happy to help Alexa! Let me know if you have any specific questions! Thanks for your easy step by step guide to making a custom dartless bodice.Please do you have a step by step guide to making a bodice with darts on both the front and back pieces? Hi there! I do not have one yet! It’s next on my list….adding darts to the dart-less bodice! My only question left is: what are the blue mark (like a triangle starting from the bouton) on the picture of the final result? Hi, do you mean the shape like this __|??? (see photo in link) http://isntthatsew.org/wp-content/uploads/2016/12/Capture.jpg That shape means that the angle should be a perfect 90° Right Angle. Thank you for your generosity in sharing all of these tutorials. This is wonderful! I’m so happy to see and hear the necessary steps to bodice making! I just came across your website through pinterest. It. Is . AMAZING!! I have recently started sewing in hopes to make clothes that look as professional as store bought (I have a long long way to go). Reading your blog has already been such a big help to me. Thank you so much for making available all the knowledge and expertise that you have to someone like me! Hi Ashley, so glad you found me! 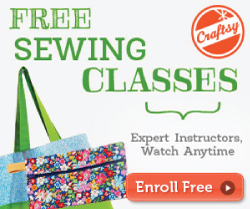 I’m so excited that you have picked up sewing as a hobby! It’s truly a lost art! Your kind words mean a lot to me, as I often feel like I don’t share enough on this site! My day job takes up, well…all day! So, I try to fit in as much posting as I possibly can! Make sure to sign up for the e-mail list, I have something super exciting in the works! I have just started sewing as a hobby and your blog helped me a lot. I’m from the Middle East and I,m very interested in translating your blog into Arabic language if you allow me to do so. Should you are interested too, please let me know. Thank you so much for posting this! I am so dreadfully lazy and undisciplined in my dress making that I have not gone into customizing any of my attempts, and things often come out rather odd. And this for a person of what I consider very average shape! No wonder that the recent fashions are often knits! They drape better despite the diversity in body shapes. This helps me understand the construction of an outfit much better than glaring penetratingly at a seam-line! Hi Grace! So glad you found this helpful! I too, agree that knits fit a wide variety of body shapes much better than woven’s! Woven’s are hard! I must admit, the majority of my wardrobe is comprised of knits! However, this bodice, the way that it is, could be used as a knit foundation too!